The combination of miniaturized energy harvesting devices with ultra-low power radio technology is the basis for innovative maintenance-free wireless sensor solutions. The self-powered wireless switches and sensors do not require any wires or batteries and add unparalleled flexibility to time savings and energy efficiency, while minimizing investment and operating costs. EnOcean Alliance solutions make use of energy generated from slight changes in motion, light or temperature. Powered by motion, light or heat; no cables or batteries are required for switching or for collecting sensor information such as temperature, water sensing or presence detection. Self-powered wireless sensors and switches using the EnOcean wireless standard are ideal for sustainable building applications. EnOcean wireless networks have been installed in more than 1,000,000 buildings worldwide, making it the most widespread and most field-tested wireless building automation standard in the world. Self-powered wireless sensors and switches using the EnOcean wireless standard are ideal for sustainable building applications. Powered by motion, light or heat, no cables or batteries are required for switching or acquisition of sensor information such as temperature, water sensing or presence detection. Sensors and actuators can communicate directly with each other and/or they can be controlled by a room controller/gateway to the cloud for applications that require remote sensing and control via PC or smart phones. BSC Computer GmbH is a specialist in building automation. The building management software BSC-BoSe and the wireless sensor-network are based on energy harvesting technology from EnOcean. Besides capabilities like switching devices, monitoring sensors, full HVAC control, camera surveillance, alarm and reporting, cell phone control, Smart Metering, remote access and many more, BSC-BoSe also provides support for Smart Grid. 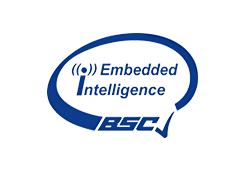 BSC system allows remote access via TCP/IP, internet or smart phone. Digital Concepts specializes in software for digital buildings, IoT and smart home solutions. 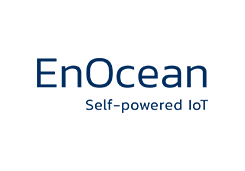 It develops and markets hardware and software for solution providers, infrastructure operators and service-oriented companies. In keeping with the general global trend toward low-power and climate-neutral technology, Digital Concepts and its software and hardware components hold an excellent position within the EnOcean Alliance to assist companies that specialize in a certain market segment in communicating with sensors and actuators as well as with cloud technologies. mmercial partners. 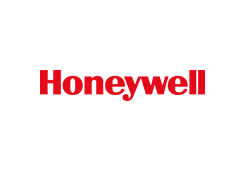 Honeywell (www.honeywell.com) is a Fortune 100 diversified technology and manufacturing leader, serving customers worldwide with aerospace products and services; control technologies for buildings, homes and industry; turbochargers; and performance materials. Based in Morris Township, N.J., Honeywell’s shares are traded on the New York, London, and Chicago Stock Exchanges. Honeywell brands: www.mkelectric.co.uk , www.ex-or.com,www.peha.de . EnOcean GmbH is the developer of the patented energy harvesting wireless technology marketed under the Dolphin brand. Headquartered in Oberhaching, near Munich, the company produces and markets self-powered wireless sensor solutions for batteryless applications in the Internet of Things, which are used for building and industrial automation, smart homes and LED light control. The EnOcean products are based on miniaturized energy converters, ultra-low power electronics and robust radio technology in open standards. Leading product manufacturers have been relying on EnOcean wireless modules for their system solutions for the past 15 years and have installed the products in several hundreds of thousands of buildings around the world. 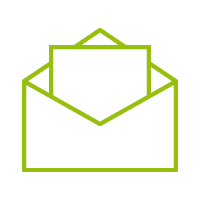 Vertuoz is a service platform that offers innovative services and technologies that go beyond simple energy management in buildings. 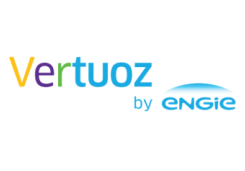 In the context of rising energy costs, greater awareness of environmental issues and new regulations, Vertuoz collected the know-how of multiple ENGIE companies and developed a web-based solution for monitoring and analyzing the energy consumption of buildings. Indeed, Vertuoz provide a full Energy Management System (EMS) but more generally a modern Building Management System (BMS). Vertuoz uses all of the data that is collected to increase efficiency and comfort in buildings, from invoices to IOT devices, from multi sites, multi suppliers. Using an open network of partners, Vertuoz enables companies to develop innovative solutions that contribute to make buildings more efficient, intelligent and personal. 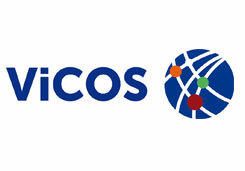 ViCOS stands for future-oriented, professional electronics, the development of intelligent OEM and ODM products for building automation, the use of wireless and batteryless EnOcean technology as well as trailblazing PROBARE test solutions. Eltako is an acronym derived from the German "Elektrischer Tast-Kontakt" meaning "electrical push-button contact" and has quickly become synonymous with high-quality impulse switches and switching relays. Eltako has long been Europe's No.1 manufacturer of equipment of this kind. Eltako also belongs to the market leaders or is market leader and technology leader when it comes to dimmer switches, staircase time switches, mains disconnection relays and multifunction time relays and energy meters.